If you’ve ever read Pulitzer Schmulitzer!, you know that I usually begin by telling a story and then connecting that story – albeit very tenuously and with many contortions – to the book I’m reviewing. Well, today I’m throwing out that formula and I’m going to tell you a story that has absolutely nothing to do any book because the story I’m going to tell is a unique one. This is a story about Franklin James Clary. I met Frank four or five years ago because we both took the same lunchtime yoga class on Tuesdays and Thursdays. I have no recollection what spurred our first conversation, but it probably had something to do simply with the fact that we more often than not placed our mats in the same area of the room and had thus gained some level of familiarity. Or that we’re both kind of chatty. Whatever the impetus, once we started talking, we quickly made multiple connections. Frank was a foodie and I worked at OpenTable. Frank worked at ToyTalk and the company’s CEO was my neighbor. We both loved music and tattoos and, of course, yoga. You get the point. As you get older and life gets busier, you tend to make fewer and fewer new friends, but this friendship seemed pre-ordained. As our friendship developed, I quickly learned that Frank was great at everything. Seriously, it was almost annoying. He was way better than me at yoga (granted, a low bar). He could surf and ride a skateboard through SF’s busy streets like a champ. He was an amazing cook, knew a ridiculous amount about wine, and had great hair. He could even dance. And although his day job was a Creative Director of Toy Talk, he also somehow made time to write and photograph for Nopalize, the food blog sponsored by Nopa and Nopalito restaurants. But I say it was “almost annoying” because when you were with Frank, you didn’t notice that he was good at everything, you noticed that he simply tackled life with a passion rarely rivaled. He got a job at Lucas Film because as a teenager he loved Star Wars and thought it would be “rad” to work there. And it was that same passion and focus that he brought to yoga, photography, writing, surfing, cooking, and whatever else he decided to take on. He would simply will himself to succeed. But perhaps Frank’s greatest trait, however, wasn’t his ability to improve himself, but instead was his ability to connect with people – and connect people with each other – better than any person I have ever met. A lot of this, I think, had to do with the fact that when Frank added you to his orbit, you were there to stay. One perfect example of this talent occurred last year when I mentioned off-handedly that I was going to Japan for work. Frank asked if I’d be interested in meeting some friends of his while I was there, and I said, “Sure,” not really expecting much to come of it. A few days later this was in my inbox. Allow me to introduce you to my dear friend and colleague Tatsuya. 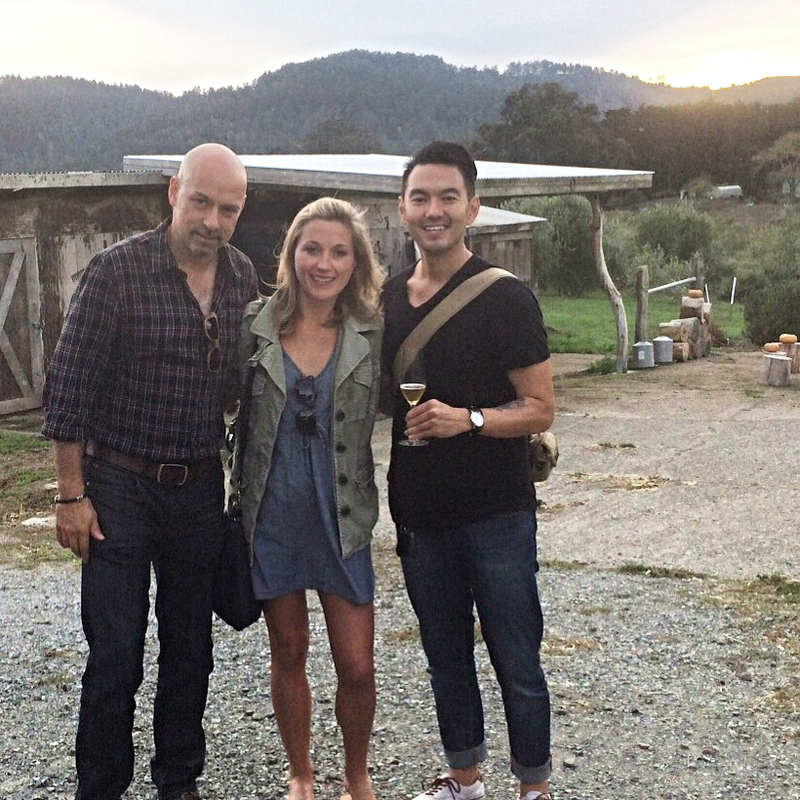 Though we met as professionals in film, it quickly became clear that we also shared a passion for food and lifestyle. When you’d mentioned you were heading to Japan, Tatsuya was the first person that came to mind as he’s someone whose character and tastes I can trust with anyone in any scenario. I’ve passed along your schedule including your more specific plans to visit Kyoto and Tatsuya believes he can help accommodate your visit in both Tokyo and Kyoto. He lives in Tokyo himself and mentioned knowing a good person for you to meet in Kyoto if you care to. Thanks so much for being so gracious and responsive. I look forward to the opportunity to pay the courtesies back upon your next visit, or for anyone you know who might be visiting the states. John is a great person who carries with him a wonderful spirit whenever we cross paths and I’m excited for him to share that with Japan on his journeys. It’s a great fit. I’ll let you both take it from here. Who does that? In this day and age when we live such busy lives, not only did Frank follow up and make the introduction, he made the greatest email introduction in the history of email introductions. Only Frank could describe me as one who “carries with him a wonderful spirit” with a straight face or be genuinely excited for me to share that with Japan. Only Frank could so easily bridge the gap between two strangers who shared neither continent nor language. I have saved this email because it makes me happy every time I read it. I’m telling you this story because over the 4th of July weekend, Frank was killed in a car accident at the age of 36. I’m still a little in shock but I’m not alone. Tatsuya, the guy Frank introduced me to and who I absolutely met and bonded with in Japan (just as Frank knew would happen) reached out across the globe to share his sadness. And the outpouring of stories on Frank’s Facebook page clearly demonstrate the impact that he made on the Lucas Film community, the Toy Talk community, the Nopalize community, the Yoga community, the CrossFit community, and probably a ton more communities that I don’t even know are communities. A quick scan of the words and phrases contained in the various posts reveal everything you need to know about Frank: passion, energy, awesome, indelible, friend, love, curiosity, charismatic, energetic, warm, lived life to the fullest, never without a smile, and he made me a better person. Nopalize reposted this interview from last year that is wonderful. 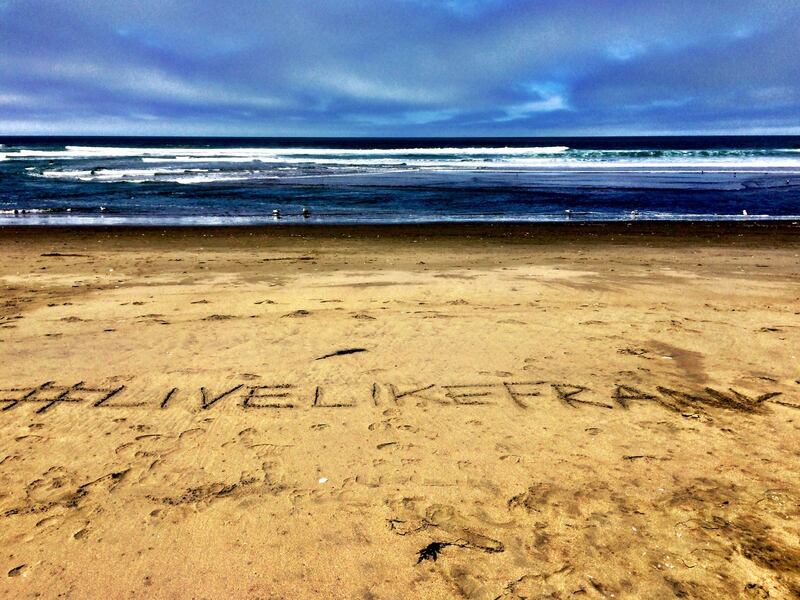 But my favorite tribute was a simple hashtag that one of his surfer friends came up with: #livelikefrank. When tragedies like these happen, people tend to stop and take a moment to hold those close to them a little closer and say things like “remember to live every day like it’s your last.” And, don’t get me wrong, we should definitely all do that. Frank certainly lived life to the fullest. But Frank also took it one step further because he wanted everyone else to live their lives to the fullest as well. He focused on the good in people and nurtured that goodness. Moreover, he then fostered connections between people that he knew should meet but without him probably never would. He created the Community of Frank. It’s been a tough week. I haven’t been to yoga class since the news and I’m sure when I go and his mat isn’t next to mine it will be even tougher. But I was lucky to know him and for that I’m thankful and because of him I will try to #livelikefrank. On a Nopalize Seasons field trip.